If you set a game in Paris’ 20s Burlesque bar scene then you need a jazz soundtrack to match. 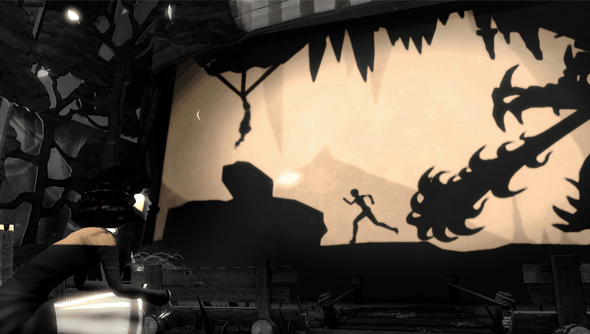 Thankfully, Compulsion have done the decent thing and scored their stylish platformer with the sultriest of slow jazz. They show off one of the tracks in their new trailer. In Contrast you need to use shadows to create platforms to get about the level. You’ll always be looking for new ways to manipulate the environment and create new occlusions to run along. It’s a neat idea but it’s absolutely the presentation that sells the game to me. Platformers seem to becoming the go to genre for showing off your art design chops. So many other games on the market off similar variations upon level design but art styles vary between pixel art, vector graphics, art deco 3D. It’s exciting to see. Contrast is due out on 15 November and can be preordered through Steam.